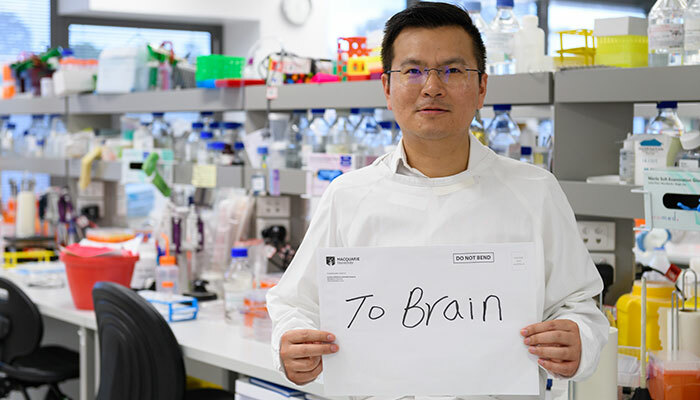 Macquarie University Hospital is participating in what will be the largest clinical trial to date assessing the effect of testosterone supplementation on reducing amyloid – a protein that develops in the part of the brain that affects memory and learning. Beta amyloid accumulation in the brain is a known cause of Alzheimer’s disease. Advanced scanning: Prof Martins says Macquarie Hospital has the Rolls Royce of imaging technology which is unavailable elsewhere in Australia. Led by Professor Ralph Martins, the ‘TotAL’ Trial is currently screening men between the ages of 60 and 80 for participation in the study. Amyloid positive men who do not have a current medical or neurological condition – and are predisposed to developing Alzheimer’s – will be invited to participate in the study. “The trial aims to intervene earlier by treating amyloid positive men with the aim of preventing the onset of symptoms or delaying them significantly,” explained Professor Ralph Martins, Foundation Chair in Ageing and Alzheimer’s Disease at Edith Cowan University and Professor of Neurobiology at Macquarie University. “Participants will either receive testosterone supplementation alone or in combination with fish oil to determine if the amyloid load in the brain can be reduced, as well as whether the supplementation affects performance on tests of memory, cognition and function. The ‘TotAL’ Trial will take 18 months from start to finish with 56 weeks of treatment and involve several hundred participants. The clinical part of the study is being led by MQ Health’s Professor David Gillatt and part of the Hospital’s urology team specialising in men’s health and male hormone therapies. In 2015, Macquarie University and Macquarie University Hospital established formal agreements with Perth-based Australian Alzheimer’s Research Foundation and the KaRa Institute of Neurological Diseases, in Sydney, to collaborate on advancing diagnostic and treatment approaches to Alzheimer’s disease. “The involvement of Macquarie University and Hospital will give us access to technology unavailable elsewhere in Australia,” said Professor Martins, who has been researching Alzheimer’s disease for more than three decades and has made a number of ground-breaking discoveries. 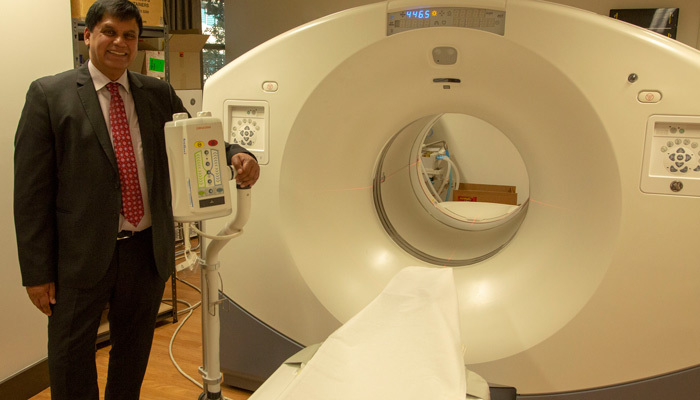 “For one, the superior imaging capabilities at Macquarie Medical Imaging will enable us to conduct our brain scanning work more efficiently and effectively. MMI has state of the art imaging equipment and ready access to brain amyloid imaging agents, which make it possible to scan multiple patients in a day. “This is contributing to our capacity to run the ‘TotAL’ Trial as a large and definitive clinical trial – the largest of its kind in the world. My hope is that this leads to a viable treatment in the future.